Document Signed by Andrew Johnson by his secretary, 1pp. 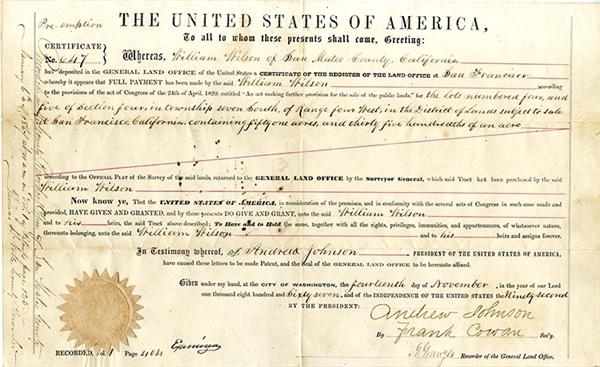 oblong folio, November 14, 1867, being a land grant to William Wilson for land in San Mateo County, California. Very good condition.